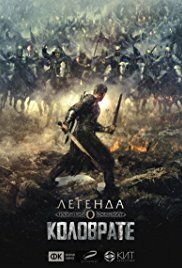 Film will tell about Golden Horde times and the warrior, Ryazan knight Evpaty Kolovrat, leading the squad decides to fight back khan Batu, who shattered Russia. This military tale (The Tale of the Destruction of Riazan) survived in several sixteenth and the seventeenth century redactions and is thought to be a part of a miscellany that was composed and revised by the clergy of the Church of St. Nikholas of Zaraisk. According to the legend, the church is located on the spot where the princess Eupraxy killed herself. Given a form of a military tale, the later version of The Tale of Batu's Capture of Ryazan is a fictionalized account with some historical inaccuracies suggesting that the Tale was composed sometimes after the described events and was subsequently further edited. Tracing its provenance, textual analysis, and dating of various redactions have been conclusively resolved by Soviet scholars. The Tale of the Destruction of Riazan is one of the most interesting and best written accounts of the invasion of Russia by the Mongols: Within twelve years after bringing the miraculous icon of St.Nicholas from Kherson, the godless Emperor Batu invaded the Russian land with a great multitude of his Tatar warriors and set up camp on the river Voronezh in the vicinity of the principality of Riazan. And he sent his infidel envoys to the city of Riazan, to Great Prince Yury Ingvarevich, demanding tithes from everyone - from the princes and from all ranks of people.And the Great Prince decided to send his son, Fedor Yurevich, to Batu with many gifts and supplications that he not invade the land of Riazan.